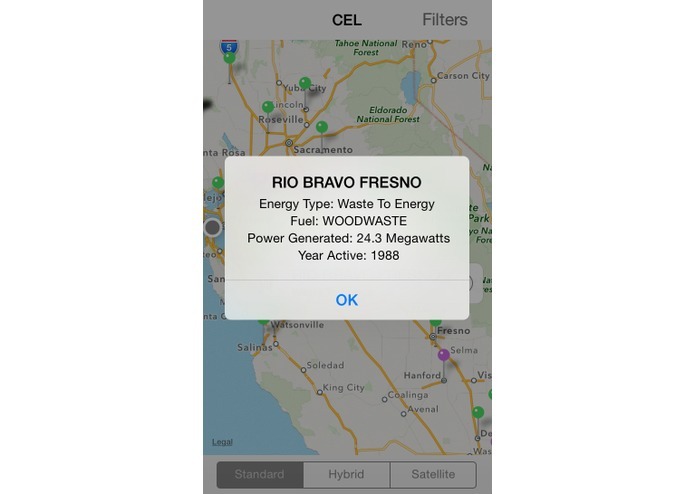 California Energy Locator App displays and describes hundreds of nearby power generation facilities! 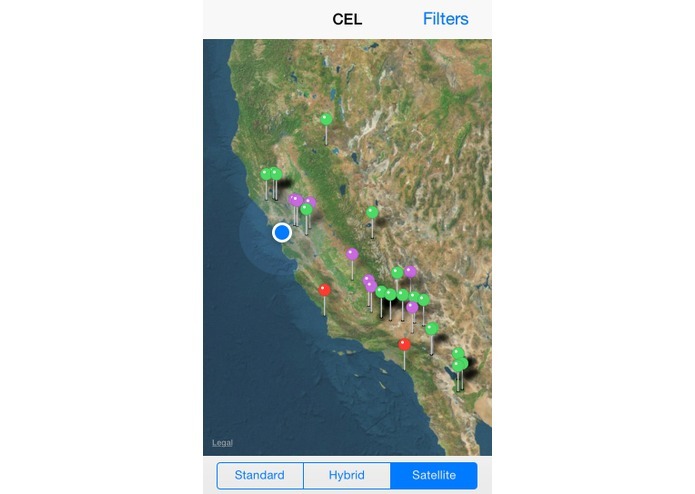 California Energy Locator (“CEL”) is an educational tool that provides an interactive map-based view on Californian energy sources, both nearby the user's current position and throughout the state of California. 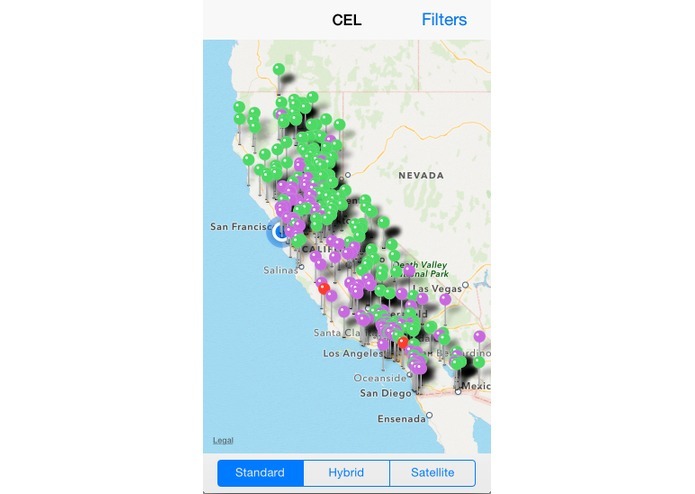 Derived from the California Energy Commission and cross referenced with online location data, CEL tracks the user's position and shows nearby power generators which can be sorted by energy source. 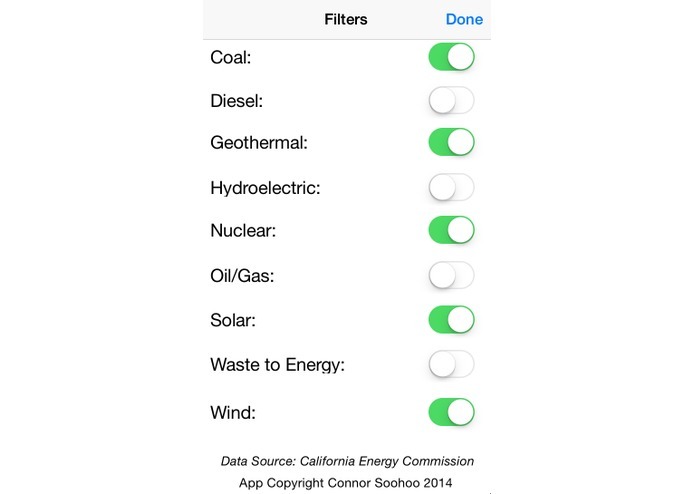 Choose to display all the power sites across California, or view selections by energy type. Tap into individual generators on the interactive map to reveal detailed information on the site's production abilities.